You know I love Bobbi Brown skincare. The products are solid and whereas skincare companies tend to focus on how the skin looks or skin health – Bobbi Brown focuses on both. These three treatment masks are designed for all skin types between them and everyone will find something they’re looking for. 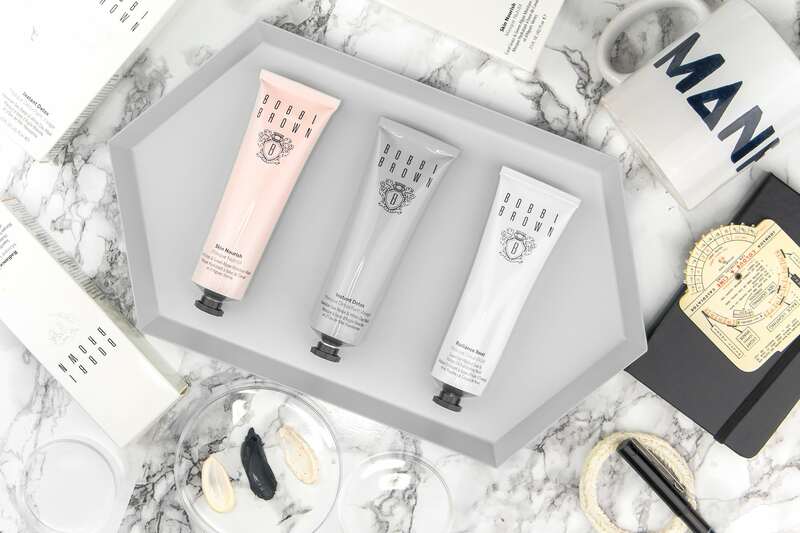 Each of the Bobbi Brown masks can be used 1-2 per week (actually the Skin Nourish more if needed) and are great at supporting a solid skincare routine to give you that boost. I would only suggest using any mask if you are supporting it with good skincare as the immediate effects any mask can give sometimes disguises deeper skin problems. This clay-like mask is very thick and rich, made with Hawaiian Sea Water and Amazonian White Clay. It pulls all the rubbish out of your skin and pores being particularly great for those who are blemish and blocked pore prone! Apply to any areas that are particularly oily/congested and avoid those that aren’t. It dries lighter and can then be washed off. Do use your treatment moisturisers and serums afterwards to restore hydration! This is the hydrating mask infused with Coral Grass and Green Algae. This can be used as a mask that you then remove or as a sleep mask. This can be applied all over the skin avoiding the eye area to plump and re-hydrate. Particularly good after prolonged sun exposure. It’s ultra-calming and afterwards my skin feels so, so soft! This is my favourite. I use this about 10 minutes before getting in the shower allowing the orange oil calms the skin and then remove it by massaging under the shower exfoliating with its walnut grains. It smells absolutely incredible and I think is more softening than the Nourish mask. This article first appeared on MANFACE written by Thom Watson. It was published on Wednesday 25th May 2016 and was last updated on Monday 3rd April 2017 at 12:55pm. It's categorised under Acne, spots & blemishes, Anti-Ageing, Bobbi Brown, Combination Skin, Dry / Dehydrated Skin, Mask, Oily Skin, Razor Burn / Shave Rash where you'll find more related content.